Salesforce has emerged as the most trusted and widely used customer relationship management software tool across the globe. Despite the huge success, the demand for any marketing tool which is only serving one peripheral i.e. the CRM cannot grow beyond a certain limit. There are umpteen issues faced by businesses many which need unique solutions. In addition, businesses also need specific tools which can handle not only the ongoing problems but are also instrumental in predicting the ones which might crop up in the future. 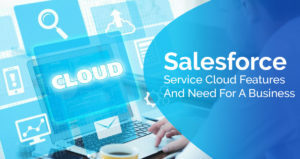 It was these raised needs which were addressed by Salesforce and they brought about a number of add-ons and individual products to support its master product the Salesforce CRM Solution. Salesforce Community Cloud also took birth amongst these and was designed to enable businesses to grow and provide an ultimate customer experience by addressing all their needs under one roof. Many of the services which were launched by Salesforce came to stand as distinct entities like the Marketing Cloud, Services Cloud etc. while the rest were able to integrate into all services like the Visualforce, Lightning Platform etc. In order to have a deeper understanding of what a Salesforce Community Cloud, it is essential to recognize the need which led to its culmination. Initially, at the time when it was launched, it was basically directed at helping sales personnel to track their work and relationships they have built with the customers. As the relationships grew the customers wanted to have a better look at the business. It is here the Salesforce Community Cloud was truly helpful as it was designed to let the user community have access to some particular objects in Salesforce. 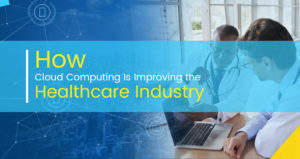 The Community Cloud was an excellent way to share information and thus communicate with the customers in addition to internal communications for better management of tasks and services. It is thus a platform to give rise to branded communities in the online world to connect with customers, employees and even external partners of a business. These communities serve as an excellent mode for feedback and support. Many businesses find it very hard to build an online community as it seems both complex and costly. Also, the returns of the time and money invested are ambiguous initially so there is a general reluctance to delve into the area. 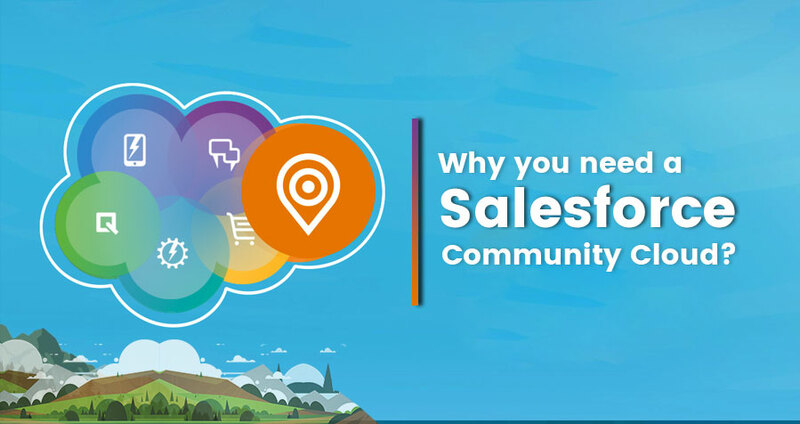 Salesforce Community Cloud is truly empowering as it allows the businesses to give shape to customized communities which are based on brand and are suitable for mobile platforms. Another attraction is that there is no requirement for any coding due to the availability of a library of scalable templates. In addition, the community can be easily personalized as per the needs of your business by use of third-party and other custom components. As it a product of the Salesforce thus there are no limitations on accessing the Salesforce CRM data in terms of activities, leads, opportunities etc. 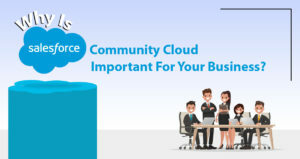 The Salesforce Community Cloud can give shape to excellent online social communities which can be loaded with features like Frequently Asked Questions which is a whole database of most probable questions and their most plausible solutions, Customer Forums where the customers can discuss and connect with each other, etc. This can provide a unique combination of resources knitted together to give shape to a rich hub of content which will be useful in guiding the customer to get the best experience while they search for any information at their own pace and manner. The online community will thus help your relationship with the customer grow stronger due to factors like transparency, accessibility and their interest to engage with you. A good customer support base like a partner support base requires dedicated resources, time and effort. These come at costs which are at times hard to imagine. Salesforce Community Cloud cleverly helps your business to achieve those goals by letting your customers and partners help themselves. They can themselves access the information they need through the content which you have put on the online community or the one which has been shared by other users. The sign of a robust online community will be a lowered rate of incoming support calls and emails thus significantly limiting your role and channelizing your resources towards website maintenance and management of the community. Organizations across the world have made tremendous savings on costs by resorting to online communities. As per a research report by Constellation Research, online communities are helpful in providing increased revenue by many other ways apart from customer service. The research highlighted six primary ways in which these can help a business achieve its revenue goals. These are increased communications, the introduction of new services and products, maintenance of marketing and public relations, increased engagement of employees and better cost efficiency of the business. A Community Cloud whether oriented towards customers, employees or partners can serve as a powerful tool of research. Data is said to be the most valuable resource a business can have and online communities can give you information about your product and services like no other platform. A careful observation of your online communities can make astonishing revelations about your product or business at large. The information which is hidden in candid conversations amongst customers or employees can serve as the most valuable feedback which can help you improve your business. You can get clear signals about the level of satisfaction or dissatisfaction, any new service, product or feature which the customers are looking for etc. Also, the most searched support question can be an indication that something needs an immediate fix. Many successful businesses screen their online communities very minutely to listen to the voice of the customers and get to the nerve of the issue faced by them. One-Point Social Sign-In: Salesforce Social Sign features can be leveraged. Also, access to Salesforce can be granted via different social networks like LinkedIn, Twitter, Facebook, Google etc. Pre-Built Templates: Salesforce gives you leverage of pre-built templates for your business community which can be customized to a certain extent. Login-Logout can be Customised: You can customize the mode of login of your customers to match your brand. You can also allow self-registration to your users by which they can register themselves to the community. Users can Earn Reputation: The active members can bag more badges and earn a reputation for trustworthiness. This usually works on points earned by members. Sharing more Information: The Cloud also allows you to share Salesforce Knowledge Files and Salesforce Chat files with other users. Thus, document sharing serves as a great advantage. 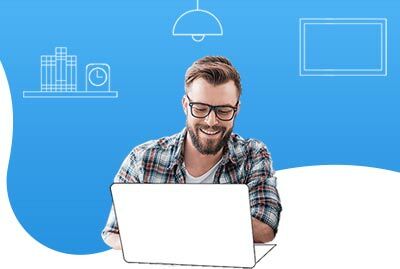 The Salesforce Community Cloud is an excellent tool which can help build strong customer relationships by providing customizable solutions for different kinds of problems. It goes a long way to build the brand and help you stay ahead in terms of gaining market intelligence and product-improvement.